With spring just around the corner, winter doesn’t seem quite ready to relinquish its icy grip. The mornings are bright, sunshine streaming through windows and skies clear and blue. By evening, the clouds have descended, rain transforming into snowy shards, shivers and umbrellas the order of the day. In the kitchen, heavy puddings and warming pies are on their way out as the first flavours of spring inch their way in. But somewhere within this period of transition, there is still a place for heartier, more comforting food: sweet and sticky with just the slightest nod to the warmer weather to come. This recipe is exactly the kind of thing I feel like eating at this time of year. Fresh berries are just around the corner, so what better time to start using up the fruits from my freezer? 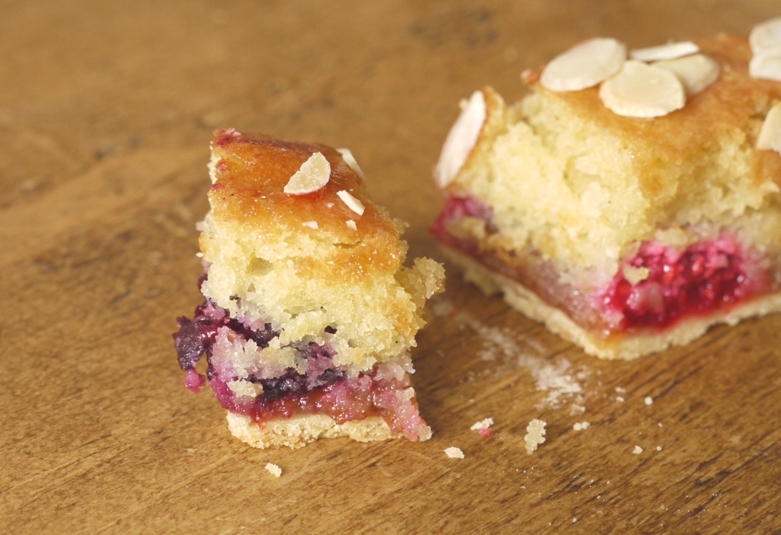 Frozen in warmer months, raspberries and blackberries add a little ray of sunshine to this simple pastry slice, juicy pockets of fruit melting into sticky jam and soft, sweet sponge. 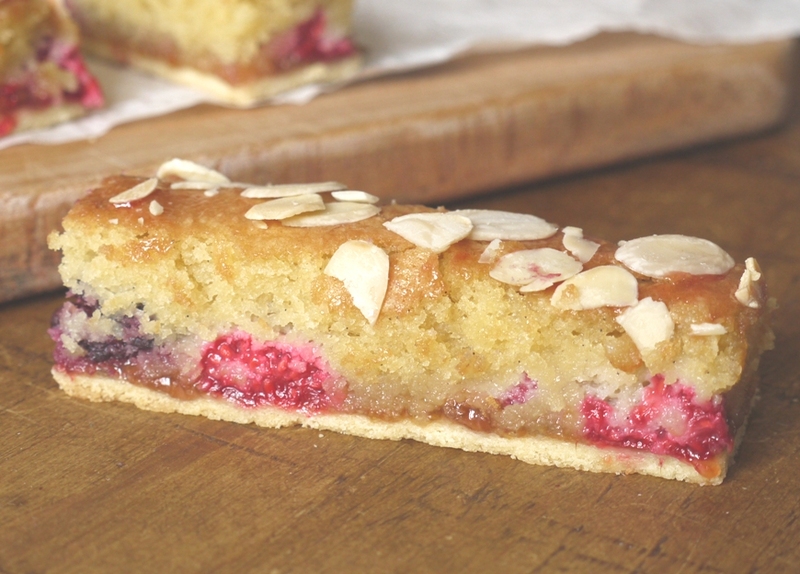 Today I’m sharing the recipe for this Plum, Raspberry and Blackberry Bakewell Slice over on Poppy Loves blog. If you like crisp pastry, light, soft sponge, sticky jam and juicy fruit, head over there now and grab the recipe. Happy weekend! These look so dainty and perfect. Could I stop at just one – mmm I doubt it. Lovey pics too. I love berries and always use frozen ones in these cold months as they are so good. Bakewell happens to be an all time favourite of mine, love it so much! They look lovely. I’ve never tried bakewell with fresh fruit before. Gorgeous! I love Bakewell tarts. People don’t make them enough on this side of the Atlantic. Great idea to make these cute, vibrant slices. Your description is so enticing! Hope you have a lovely week end. The Bakewell slice was absolutely amazing. Literally perfect in terms of consistency, flavour & moistness. Bravissima! 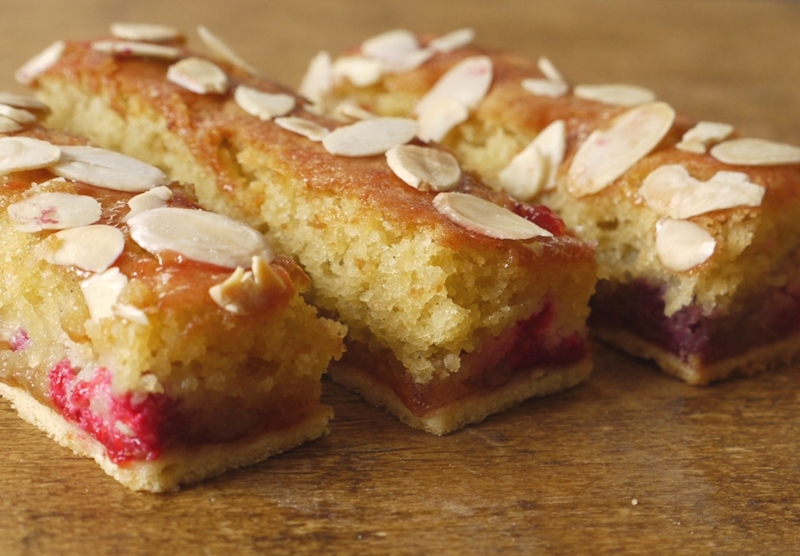 I love bakewell tarts….and you made them in to lovley handy slices. they look delicious!!! I actually used fruit as well as jam, but if you like your slices a little less sweet you could use less jam, or skip it completely. 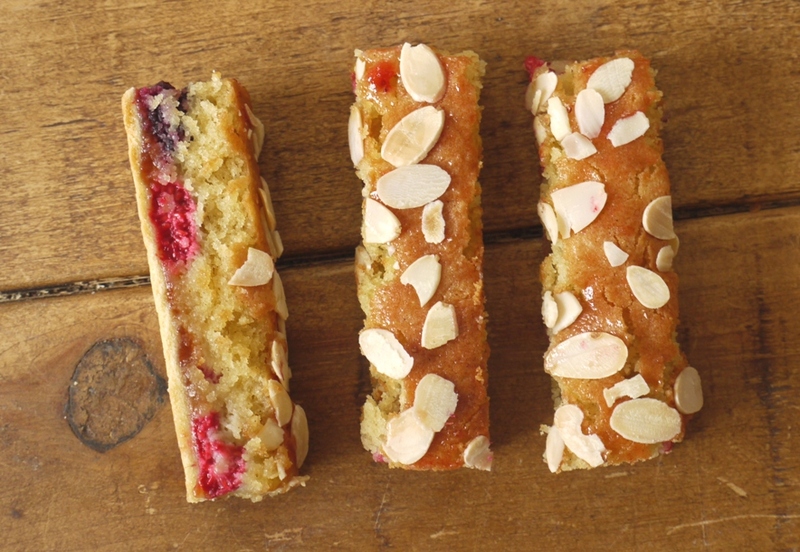 Such a lovely combination of flavours – I’m not a huge bakewell tart person normally but these look right up my street! This makes me miss London a lot! Am I right in thinking that the fresh fruit cuts a bit through the sweetness of the bakewell slices? You are right! Because I used jam too it’s still fairly sweet, but the sponge is light and not too sugary so I think it balances out. You could always omit the ham if you wanted to too. Is this not just the perfect ‘straddling’ bake between the cold winter warmers and the cheery, fruity, light summer bakes? I’ve never had anything like this – it looks delicious! gorgeous photos! these bars look delicious! They looks so moist and tender, really lovely. 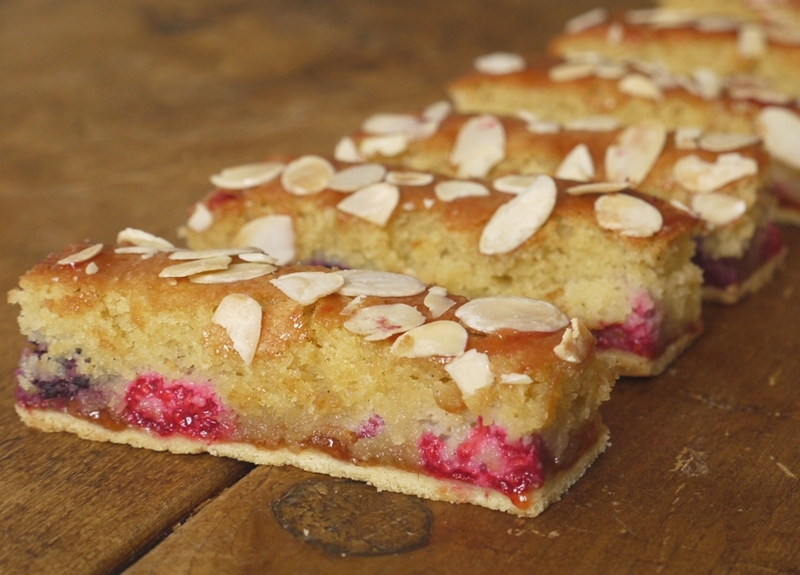 Bakewell slice.. mmm. I love the traditional tart but studded with chunks of fruit… I vote this the perfect pudding to coax spring out of hibernation. I love these simple slices. Perfect for work snacks and midday puds. I have some lemon curd leftover which might work nicely with some frozen blueberries. I see that you have a thing for almonds and little tarts, why did i not come across this blog sooner?? thanks for the bout of inspiration, i had my first ever bakewell ‘slice’ at costa last week – there needs to be a slice revolution because this cannot be my only slice experience! This is so great! 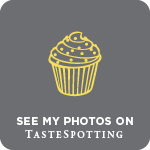 I’ve just discovered your blog and I love it already 🙂 I adore bakewell tart but slices are even better – they’re less of a pudding and more of a snack, surely!? Just had a plum and blackberry bakewell pudding, with custard, at a pub. Local fruit, in season, eggy, almondy gorgeousness! !